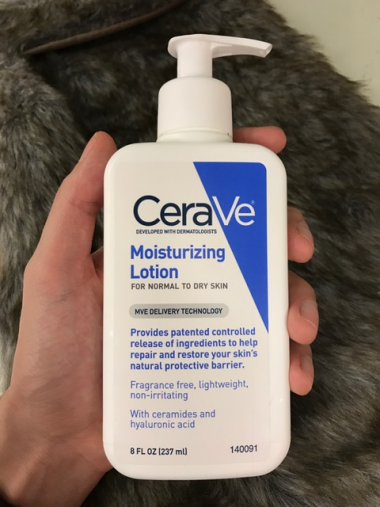 At last, we will be concluding our CeraVe reviews by focusing on the last one in this series: the CeraVe Moisturizing Lotion. Not terribly different than CeraVe Cream in terms of ingredients, but the feel of each is another story entirely. Let’s waste no time and get right into it. 3 How to Use CeraVe Lotion. Per usual, here’s the full ingredient list. Considering it’s the second ingredient in this moisturizer we can assume it makes up about 5% of this lotion. Glycerin is a humectant that moisturizers by attracting water from the atmosphere which binds to the skin. Also known as Medium-Chain Tiglyceride (MCT) oil, a super light weight non-comedogenic emollient that sinks in quickly. It’s essentially coconut oil without lauric fatty acid component. Apart from making it a liquid below room temperature (unilike coconut oil), it’s completely suitable for rosacea, seborrheic dermatitis, atopic dermatitis (eczema), and psoriasis. A major culprit behind all these skin conditions is a fungi called malassezia, which under poorly understood circumstances becomes pathogenic for susceptible individuals. (1) It’s also the major cause of malassezia (pityrosporum) folliculitis, better known as “fungal acne” — one of the most common causes of adult acne. The malassezia yeast that exacerbates all these skin conditions feeds on fatty acids with carbon chain lengths 11-24, (2) which makes most moisturizers and oils problematic. Luckily Caprylic/Capric Triglycerides only has carbon chain lengths of 8 and 10, so they will not aggravate any of the aforementioned skin conditions. To this day, I only know of a few moisturizers that are compatible with malasseszia induced skin conditions. CeraVe Lotion is one of them! CeraVe PM and CeraVe Cream also work as well. Ceramides are a natural part of skin that make up about 50% of the protective barrier. These fats play a crucial role in retaining skin moisture and regulating cell activity. In this formula they are used as skin-identical ingredients that help provide restorative benefits and water retention so the skin stays hydrated. Best of all, we get three different ones in this lotion! Like glycerin, this is another humectant. However, this one is way more powerful, capable of holding up to 1000 times it’s water weight. It’s ability to draw water from the environment and deeper layers of skin is so potent it creates a plumping effect that reduces the appearance fine lines and wrinkles. Studies have also shown it’s a very effective in speeding up wound recovery. Another essential part of human skin that makes up about 25% of the skin barrier. Like ceramides, cholesterol also functions as a skin identical ingredient in this formula, and helps maintain healthy skin through it’s emollient and water-binding abilities. This is a silicone-based skin protectant that has both occlusive and emollient properties. In other words, it coats the skin with a thin barrier as well as sinking into the dry crevices for maximal protection. This is one of the most common ingredients found inside moisturizers because of it’s high tolerability. It’s even suitable for those that have sensitive acne-prone skin. All these register as potentially pore-clogging ingredients on COSDNA. But unless you’re a bunny I wouldn’t be worrying about it too much. Because the comedogenicity scale relies on data collected from rabbit ears. This isn’t a very effective model for determining how human skin will respond to an ingredient. Bunny pimples aren’t human pimples, so take comedogenic ratings with a grain of salt. 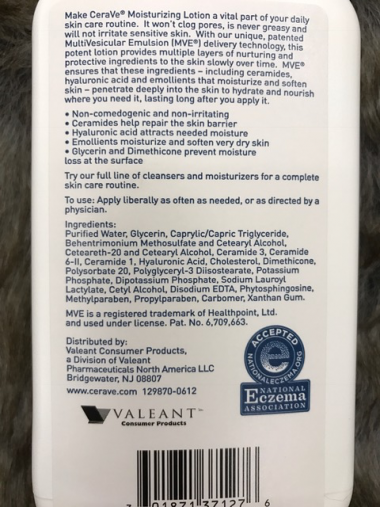 However, since Cetearyl Alcohol and Cetyl Alcohol are fatty alcohols you should avoid this moisturizer if you suspect you have a sensitivity to them. Either way, the safest thing to do is patch test. There is no way of guaranteeing a product will work for you just because I recommend it. Be safe, test it out, and save yourself from a headache and stress in the future. As far as CeraVe moisturizers goes, this one sinks in beautifully! The only one that beats it in terms of cosmetic elegance is Cerave Baby. As you can see, it has the consistency of a runny lotion. The words “gooey water” come to mind when I’m applying it. Compared to all the other CeraVe Lotions, this is by far the easiest one to spread. It sinks in really well, and would be undetectable if it weren’t for the noticeable boost of moisture and smoothness it leaves behind. As far as scents go, it kinda smells like “soft rubbery lotion.” Not sure how else to describe it. How to Use CeraVe Lotion. Very simply apply it at the end of your routine. If you use occlusives like aquaphor or petroleum, make sure to put this on beforehand. It can be used up to twice daily, and is an ideal lotion for daytime use because of how light it feels on the skin. However, it could just as well be used during your night routine. A pretty basic moisturizer that repairs the skin by hydrating it via skin-identical ingredients like ceramides, cholesterol, dimethicone, and hyaluronic acid. Provides hydration and repairs damaged skin. Great for those with ruptured moisture barriers. A light lotion that’s great for daytime use (though it can be used at night too). It spreads very easily and dries matte. In terms of spreadability, this is my favorite of all the CeraVe moisturizers. Great packaging. It comes with a pump dispenser that locks, so we won’t have to worry about accidentally spilling product, but more importantly — ensures cleanliness because we won’t have to be dipping our dirty little fingers in a jar. Fantastically priced for the amount of product you receive. 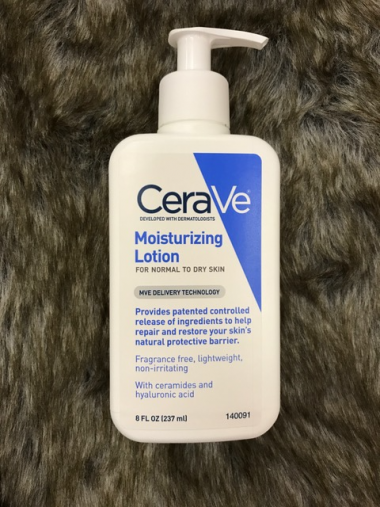 Depending on your skin needs the CeraVe Moisturizing Lotion could be a very good fit. 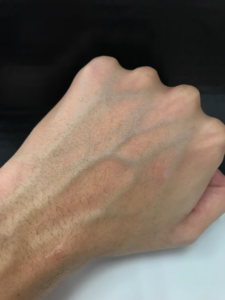 I think the ideal candidate would be someone that’s quite sensitive to most products, and is in need of something a little more basic, but still effective enough to repair skin damage (e.g. a ruptured moisture barrier). There were times in the past when this Cerave Lotion worked better for me than all the others, simply because my skin needed a break from the constant onslaught of stuff I was throwing at it. If you’re suffering from rosacea, seborrheic dermatitis, psoriasis, pityrosporum folliculitis, or eczema — this is also another good fit. Welp, that does it for the all the main CeraVe moisturizers! If you’d like to check any of the other reviews simply click the links: CeraVe Baby, CeraVe PM, and CeraVe Cream. Hope you’ve enjoyed them! Tell your friends about this kickass CeraVe Lotion! Quick question, did you try applying it on your face? I’m wondering if this is a body lotion or can it also be used as a facial moisturizer. I am hearing that the parabens can lead to breast cancer. I bought a small bottle and I’ve been using it for about 1 week. My skin has improved, no dryness and the whiteheads I got from I think was a new hair conditioner have gone away. I would like to continue to use it because it does work for my face but I am concerned about the health issues that could result from the chemicals. Thanks for any facts or comments you can offer. Let me start by saying: omg your website is helping me save my skin, and I am so so grateful to you for your incredible research and willingness to share it with others! It’s really so kind. I wanted to ask about the info you’ve posted about CeraVe products, because I can’t decide what is most up to date. On your review of CeraVe Cream, you indicate that you’ve learned the Lotion is actually not okay for fungal acne due to Polysorbate. I don’t see any polysorbates on the Baby Lotion or Cream, so would you still judge these to be safe? Thank you for the time you spend helping us!